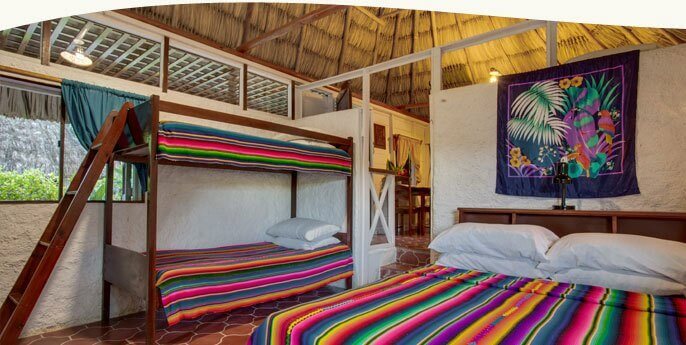 At Maya Mountain we specialize in unforgettable family vacations. We know how hard it is to find family friendly accommodations and activities that the whole family can experience together and learn from – so we have created an environment to make sure our families have a great time. We have family rates to make your stay more affordable. Children /teens under 18 stay free in room with parent. Family cottages include bunk beds and doubles. Family Suite includes 2 rooms: master and kids room. Families find the variety and presentation of our meals exciting and delicious (your kids may try things you never expected!). Have a picky eater? or dietary restrictions? No problem- we can fix a special meal for them. Our jungle lodge includes a large variety of exciting plants, birds, bugs, and fruits to discover. We have a swimming pool to enjoy and trails to explore. Also, there are a variety of games and a small reference library which includes relevant children’s books. Checklists designed to enhance our regular tour programs and activities here in the Cayo District are available on request when you come to Maya Mountain Lodge. These checklists cover three basic areas: Natural History, Culture and Archaeology. With advanced notice we can provide some of the following hands-on learning activities: Story time, town tour, arts and crafts, cultural exchange, conservation, gardening and farming, and Belizean cooking. Our Belize family vacation packages are similar to our Soft Adventure packages – but we allow more flexibility to accommodate a variety of ages. We will consult with you about the needs of your family and work out a plan with you. All activities are appropriate for ages 8 and up. Most can accommodate younger ages- we can offer alternatives for the younger vacationers if needed. Day tour rates... Ask for discounts for children on day tours. The above schedule applies to many but not all day tours. 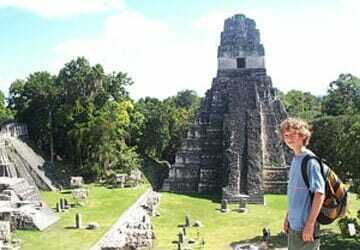 Discounts for children are not available for Tikal and ATM.